How will you be kicking off the month of July? 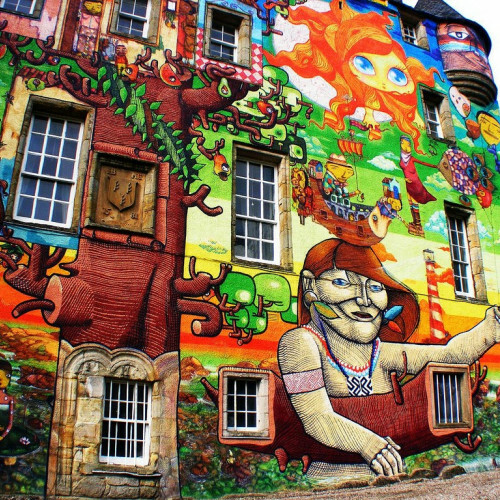 At home glued to Netflix, or blissing out to the future-soul synth sounds of Haitus Kaiyote at the foot of a psychedelically-painted 13th-century Scottish castle? We’ll assume there’s no real competition. 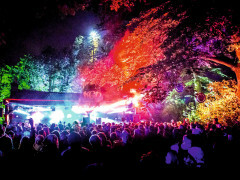 If you hadn’t considered spending four days at Kelburn Garden Party, you will now. This isn’t your typical rock festival. Your ears (and feet) will be taken on an adventure through the realms of Afrobeats, folk-rock, funk, dubwise, reggae, and more. 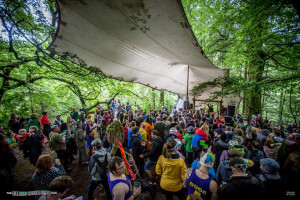 What Will You Find At Kelburn Garden Party? There’ll be live acts and quirky activities in every nook, cranny and grotto of the lush castle grounds and glen. There’ll be art installations, poetry readings, comedy sets and acrobatic fire shows. You can explore the “Secret Forest” with its maze, gingerbread house and Chinese gardens, or lose yourself in the rambling ferny paths that weave across the glen in a procession of wild flowers. You can even strip off and take a dip in the secluded, pristine waterfall pool in the green depths of Kelburn gorge. Sounds awesome, doesn’t it? So step away from that remote, and book your tickets now. You can catch up on Netflix when you get back. Secret forests, gingerbread houses, and other things that sound like we're making them up but seriously we're not. So go check it out!